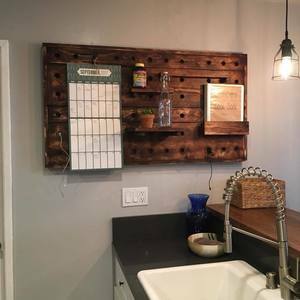 My Wife and I took a wine rack idea and turned it into a giant pegboard for our kitchen wall. That is such a great idea and it fits perfectly in that space! !